We had the absolute pleasure of having mountain biking duo Alice King and Ben Cirulis join us on an Experience recently. Their official blurb can be read below, but we also took the time to ask them a couple of questions about their experience with us and all things mountain biking. Alice and Ben, wow, your words are incredible… Thank you for joining us! First things first, tell us about your journey into mountain biking, when did you both start falling in love with this addictive sport? Ben: High school in Canberra, back before there was even any suspension on the bikes, and v-brakes were the hottest new thing. It was a way to get away from boarding school and teenage angst – mountain biking was freedom. Alice: I spent a lot of my teenage years riding and racing road and track bikes, but it wasn’t until uni that I discovered the off-road side of things. What I love about mountain biking is whether I’m fighting fit or decidedly less so, it doesn’t matter – it’s about the experience and escape of being out there, not how fast I’m going. Funnily enough, mountain biking is how we both fell for each other as well. 8 years ago Ben invited me for a ride which ended with us climbing down a cliff face with our bikes, and I thought ‘life with him would never be boring’ – and it hasn’t been. So now our Experience, a couple of days before your trip, how were you both feeling? What did you both expect? Ben: (laughs) well, missing our flight in Sydney didn’t help with the stress levels! But – after a detour via Hobart and a rental car – from the moment we were picked up by Steve in Launceston we could just relax and know that everything was totally looked after for us, from the trails to the amazing meals. Alice: It’s always pretty busy packing and getting on top of work before a long weekend, so I was hanging out for a total escape from ‘real world’ life and commitments. And that’s exactly what we got, with a perfect mix of adventure and down time. 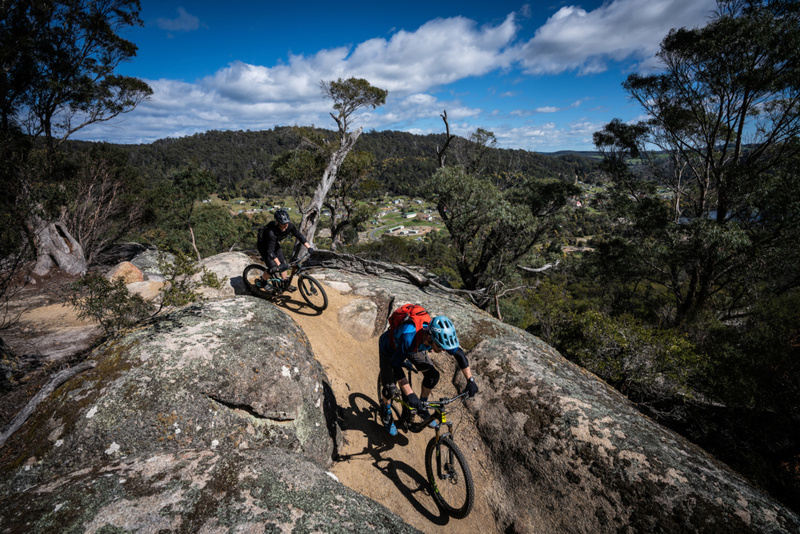 If you could both describe the Blue Derby Mountain Bike Trails in one word (hard question, we know! ), what would that be? 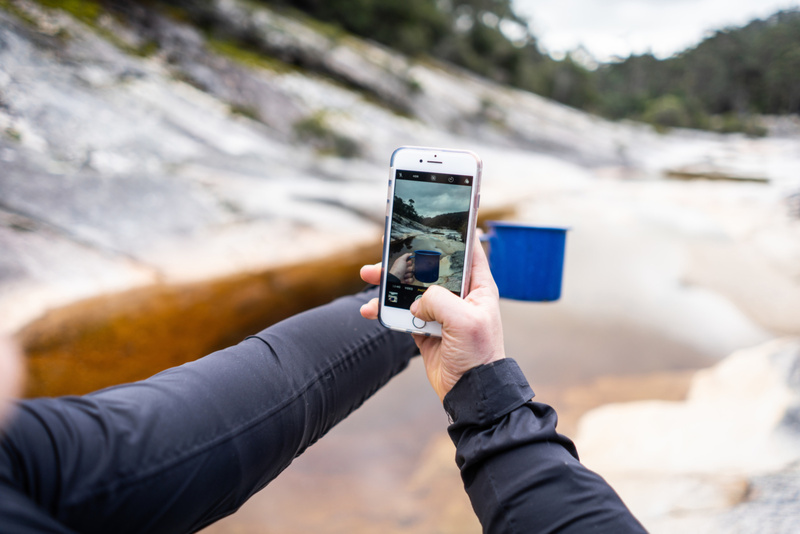 Alice: Immersive – the trails take you through such an incredible variety of landscapes, from waterfalls to alpine meadows. We talk about this intangible thing called 'flow' a lot, how would you describe this feeling? Ben: When the whole world melts away, and you’re not thinking about anything else but the immediate moment. Actually you’re not even thinking, you’re just being. Alice: Yeah, it’s this kind of timeless state, where everything just comes together. I imagine it as being like what you’re supposed to achieve in meditation (but I never can!) – perfectly focused but unfocused at the same time. Was there a moment where you experienced flow as part of our Experience? Ben: When we weren’t out on the bike, we were tucked away from the world in this little pod, eating gourmet food by the fire, without even any mobile phone reception to distract us. So I felt close to that flow state throughout the whole Experience, not just on the bike. Alice: Definitely. Out on the trails, winding my way down and down through the forest for what could have been minutes or hours. Watching the sun slowly set over the valley from the back porch. Waking up early to explore the nearby river before breakfast. Lots about riding, but what about the Pod and Hub experience, what was your favourite little quirk about this place? Ben: I work in sustainability, so for me it was the off-grid setup, including a personal tour of the battery room! You can tell how much passion has gone into this place by the incredible attention to detail – including hand picking every plywood panel to minimise knots. And the local beer went down pretty well too. Alice: Some places look amazing on instagram, but it's rare to find somewhere that looks even more incredible in real life. 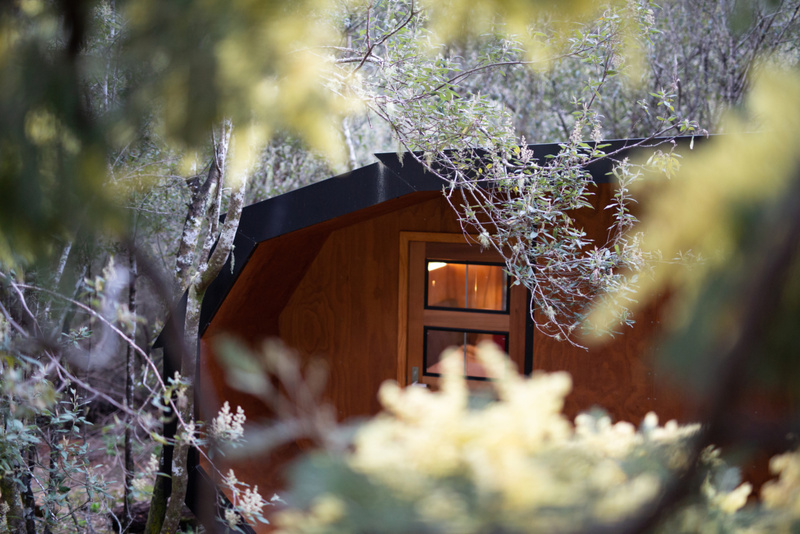 The photos truly can’t do the pods justice – it’s not just the buildings themselves, which are gorgeous, it’s the way they’re nestled into the heart of the forest, with the sound of birds in the trees and the river in the distance. Total immersion. Last question, biggest tip for those thinking about joining us on an Experience? Ben: Don’t worry too much about being a mountain biking gun. Sure, you can ride double black if you want to, but there’s trails for all level of rider, and even more beginner friendly ones opening soon. 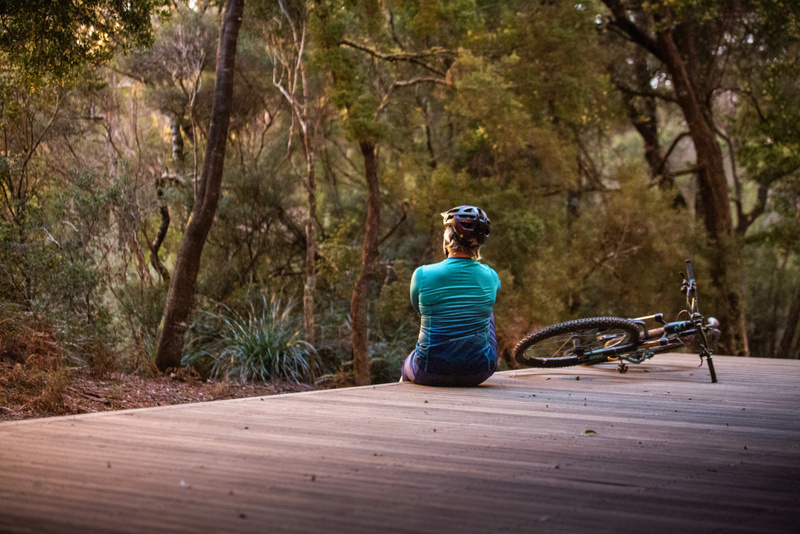 Alice: Much as I love mountain biking, it’s not just about the bike – you can ride as much or little as you want, and even a total non-rider could enjoy a wonderful weekend away here. Have an afternoon nap, curl away in the secret book nook, grab a yoga mat or go exploring on a beautiful bush walk. (sighs) – Take me back! To find out more about Ben and Alice, see their blurbs and instagram handles below. Ben Cirulis: Ben is an adventure photographer who loves capturing the raw human experience of people immersed in the wilderness – the good, the bad and the ugly. When he’s not behind the lens, he’s competing in multi-day adventure races (managing to still take photos along the way). Alice King: An ex-athlete turned adventurer, Alice has a passion for all things outdoors, saying, “When we grow up, we don’t outgrow the playground, the playground just gets bigger.” She shares her explorations through storytelling, helping ignite a spark of adventure in others.